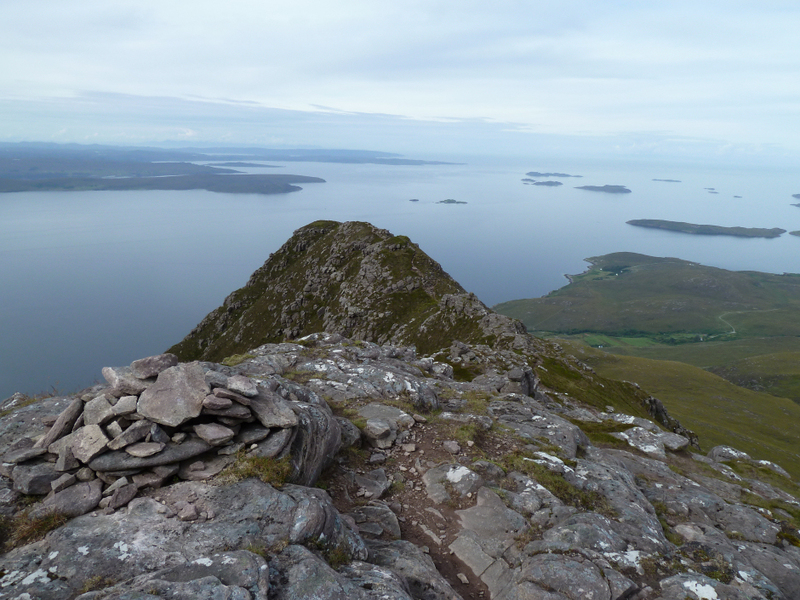 I set off yesterday morning to ascend Ben Mor Coigach and Sgurr an Fhidhleir. 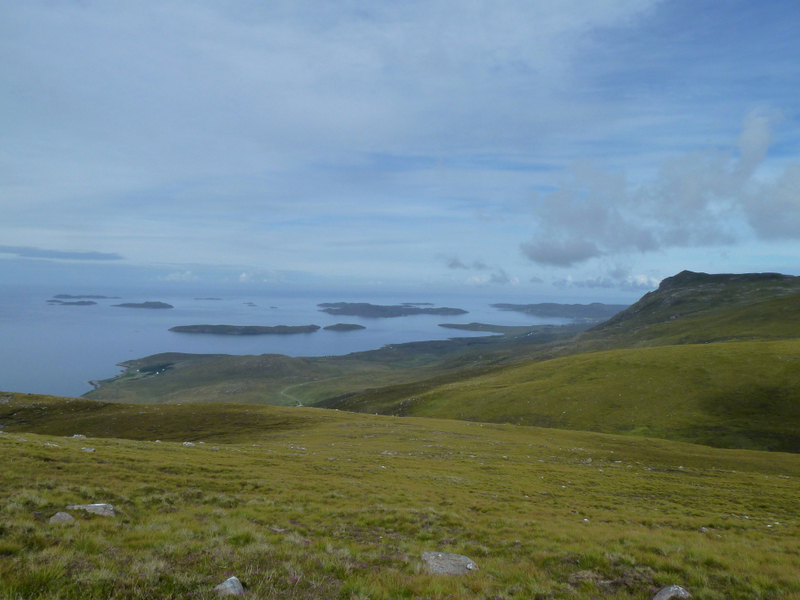 I hoped to get good views from these hills, the actual views surpassed all expectations. 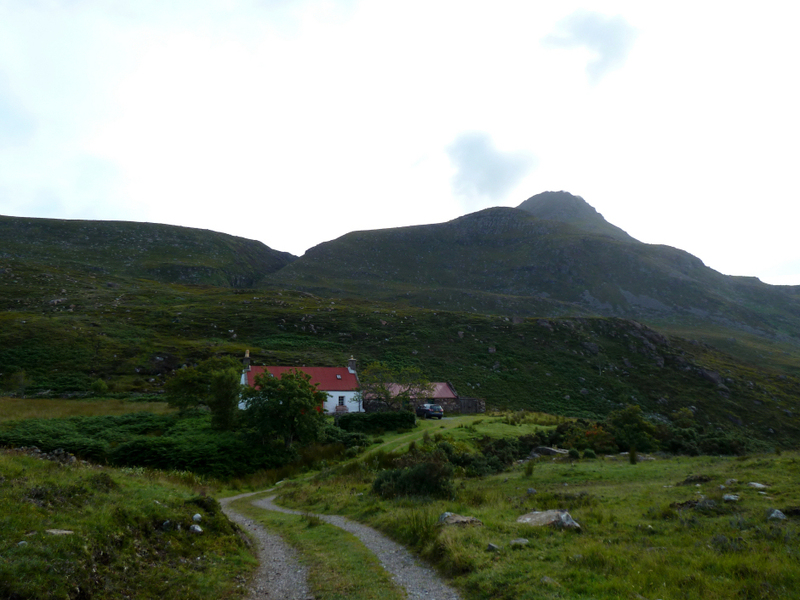 I parked in a small road-side car park, a short distance from the road-end at Culnacraig. 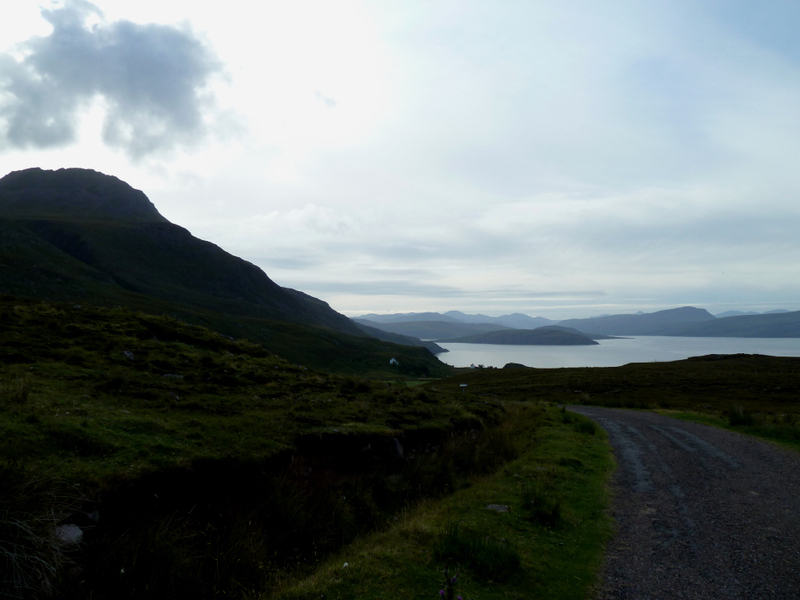 I then walked to the road-end and beyond to the end of the land-rover track. 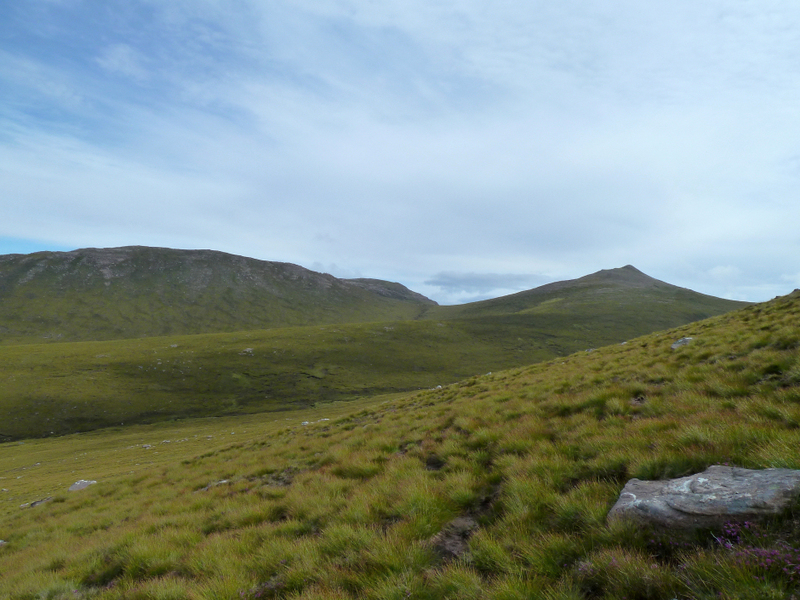 From the end of the land-rover track, I made my way cross-country to reach the Allt nan Coisiche below the start of the gorge. 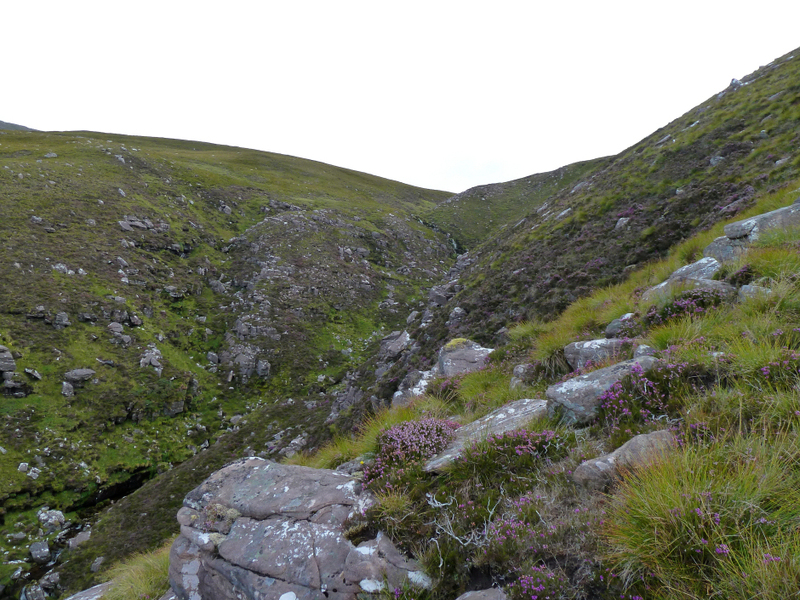 I crossed the Allt nan Coisiche to find a path which ascended steeply alongside the Allt nan Coisiche gorge. 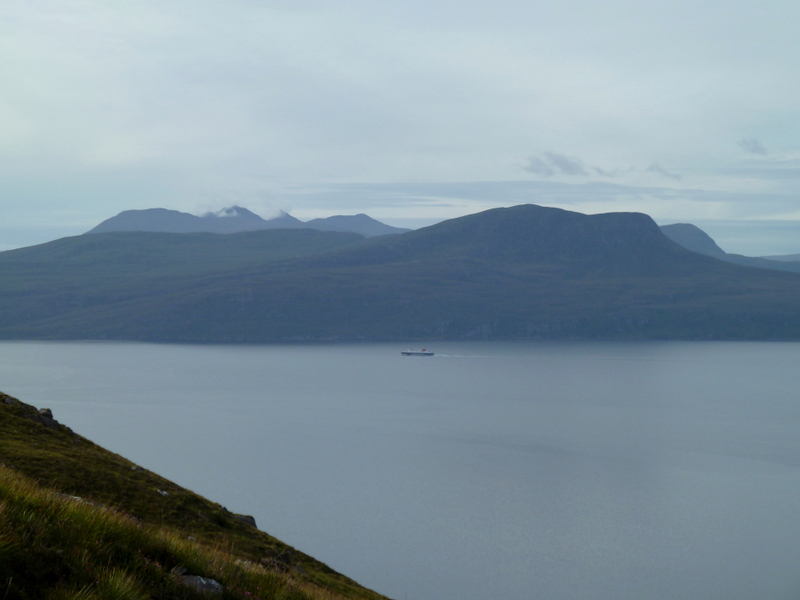 As I made my way up alongside to the gorge, I saw the Calmac ferry sailing in towards Ullapool. 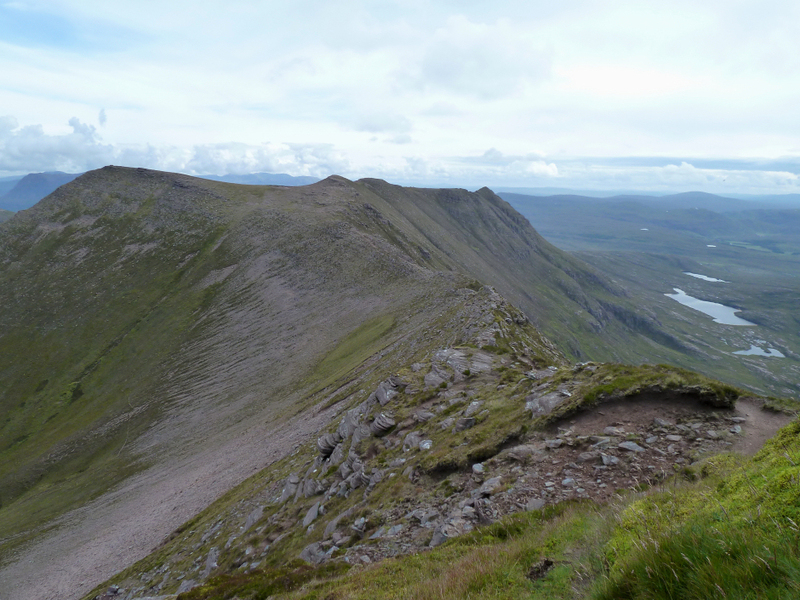 The view across to Beinn Ghobhlach and An Teallach was nice. 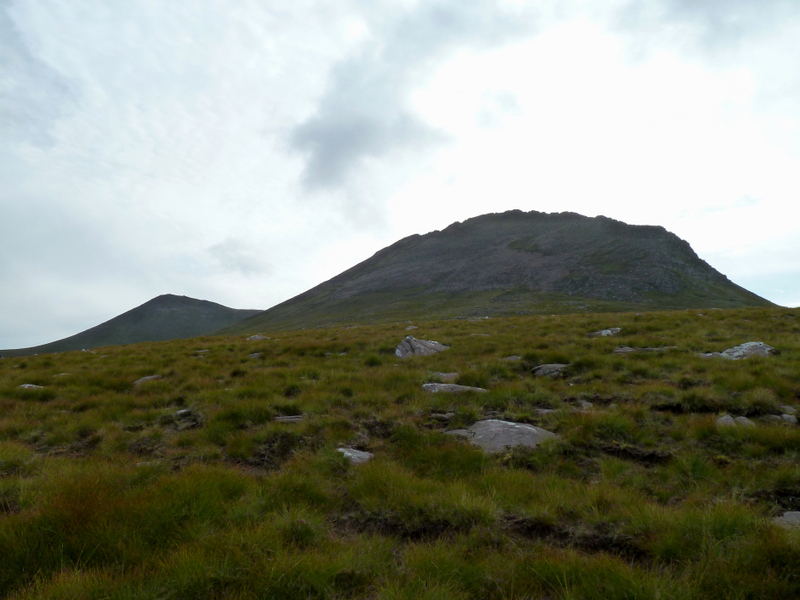 On reaching a height of circa 300m, the gradient eased-off. 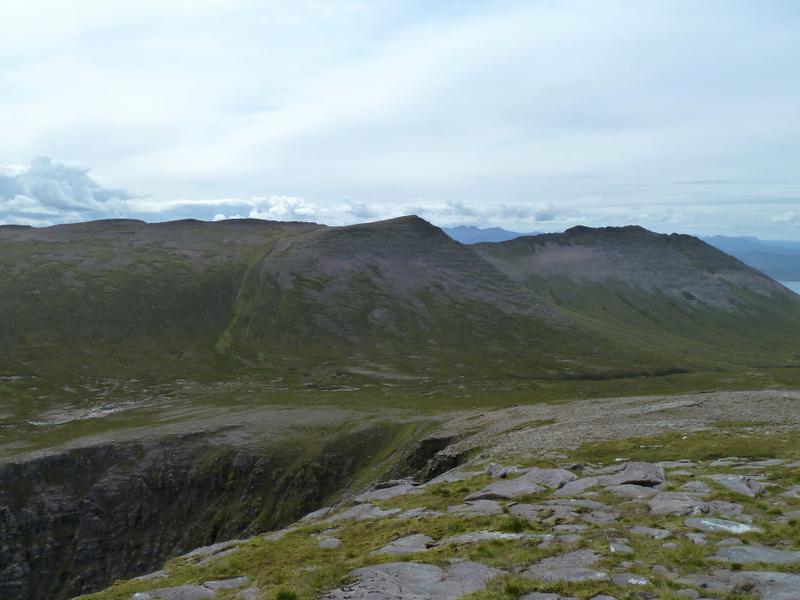 I couldn't see an obvious route up Garbh Choireachan, so I just picked a way up through the grit/scree. 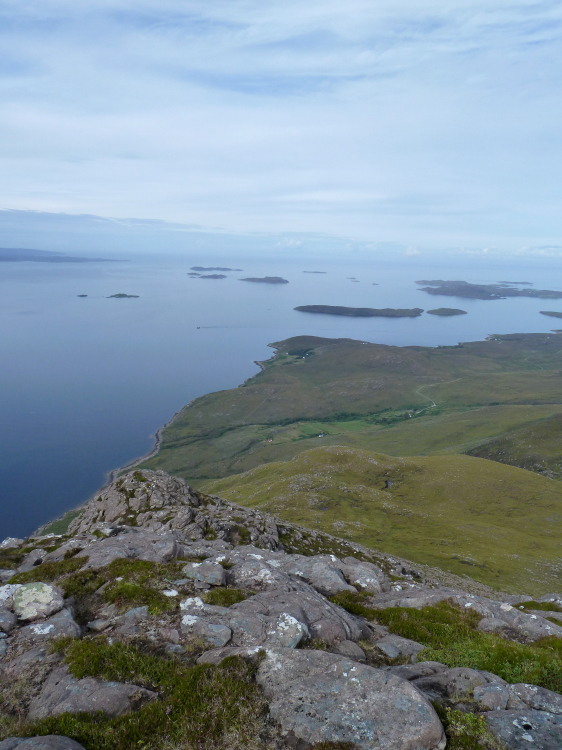 Lovely views across to the Summer Isles during this ascent. 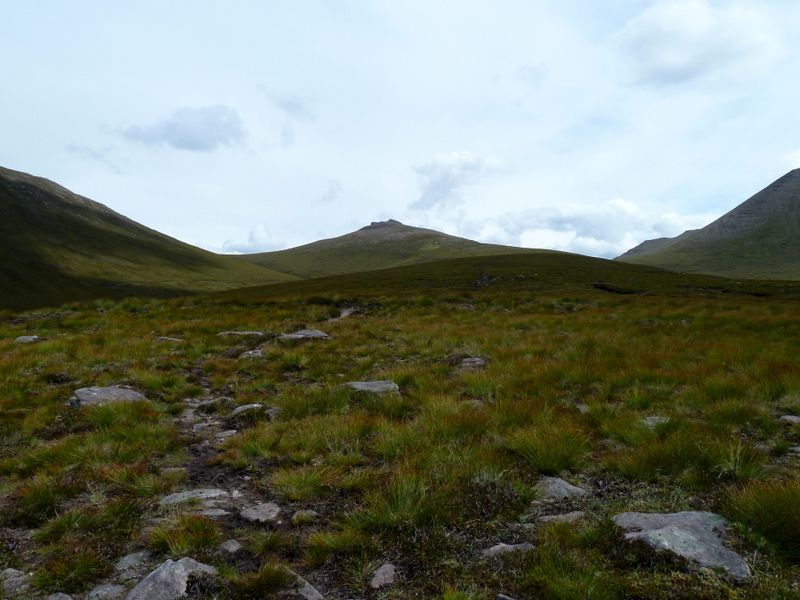 The ascent of the grit/scree was very steep but not difficult. It didn't take long to reach the ridge. 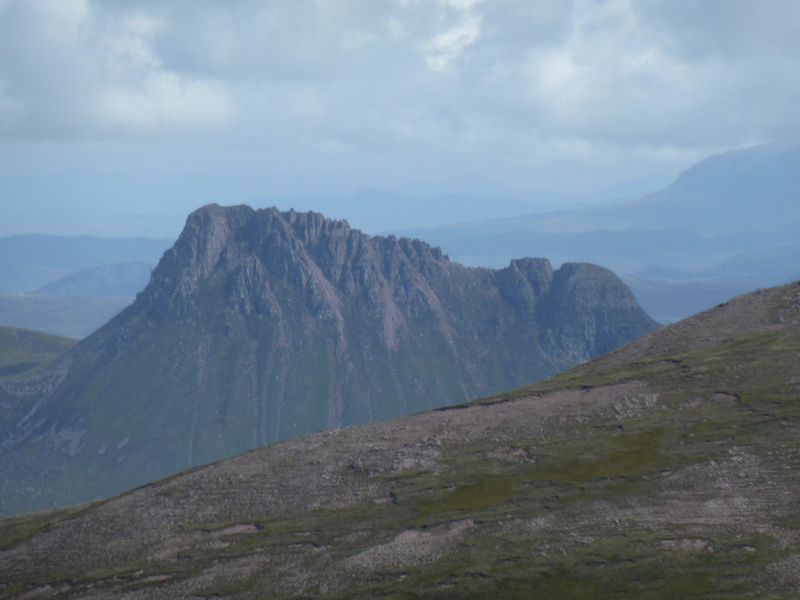 I was impressed with the ridge of Ben Mor Coigach; one of the nicest ridges I have walked/scrambled along, with some of the greatest views. 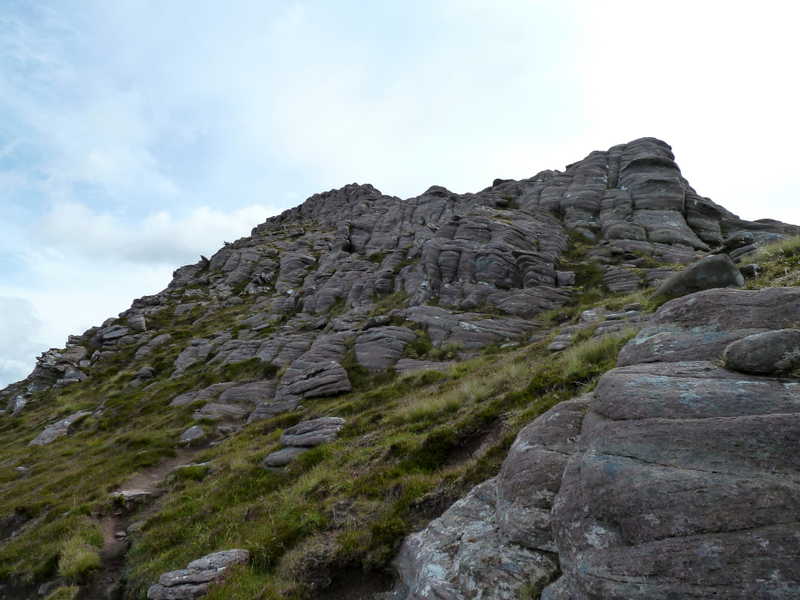 I made my way along the ridge ascending some scrambly bits and using some of the by-pass paths. 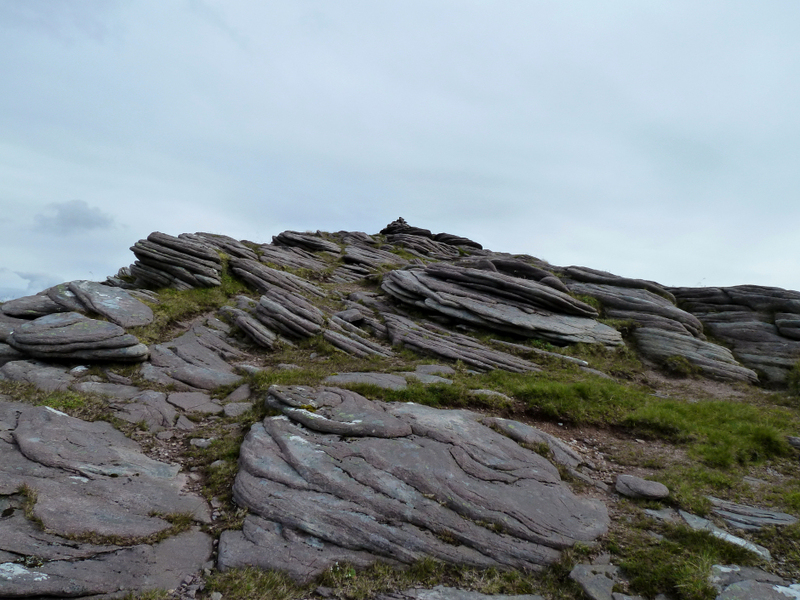 It is possible to scramble as much, or as little, of the ridge as you want as there are by-pass paths that avoid much, if not all, of the difficulties. 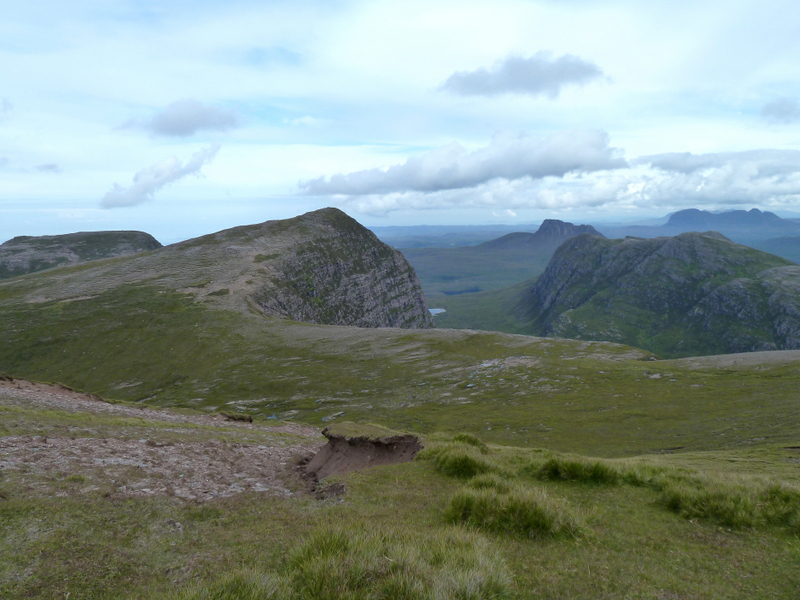 As I progressed along the ridge towards Garbh Choireachan, the view towards the Assynt hills just got better and better. 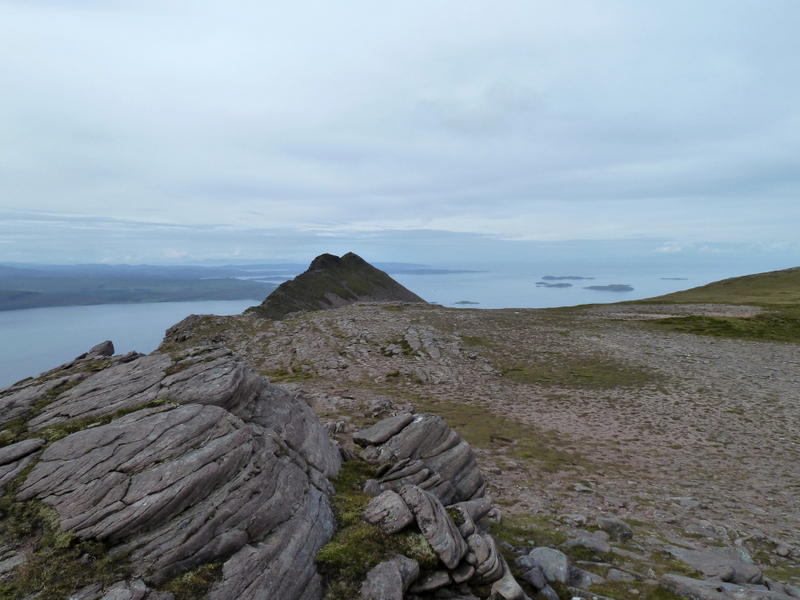 I visited both cairns on Garbh Choireachan and then continued along the ridge towards Ben Mor Coigach. 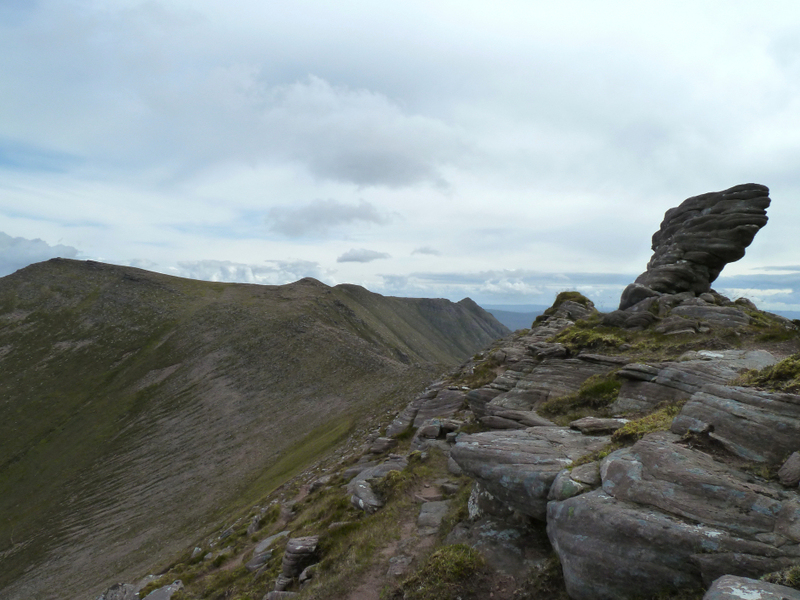 I have included a few photos from the ridge. 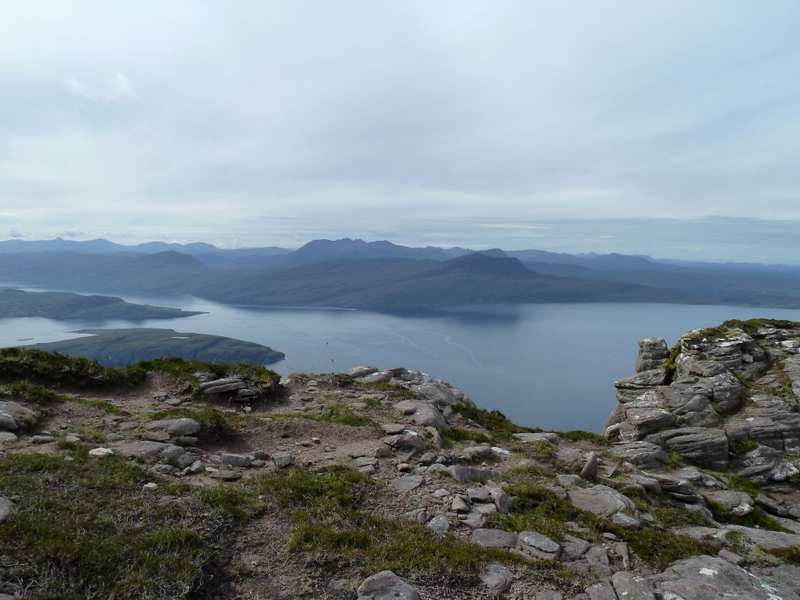 You do need to take care while walking along admiring the views, as there is a sheer drop to the right for much of the way. However, the by-pass paths mostly stick to the left where the drop isn't so sheer. 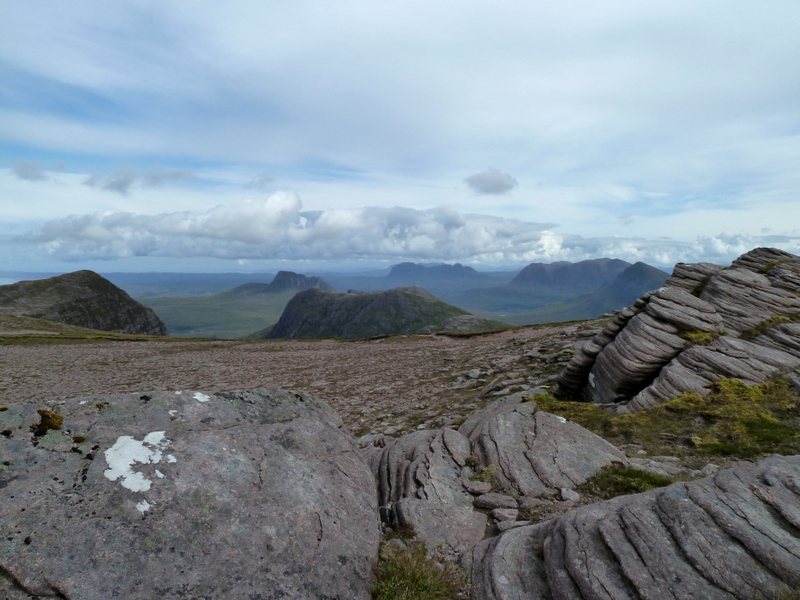 As I approached the low point between Garbh Choireachan and Ben Mor Coigach, the view towards Assynt was simply breath-taking. 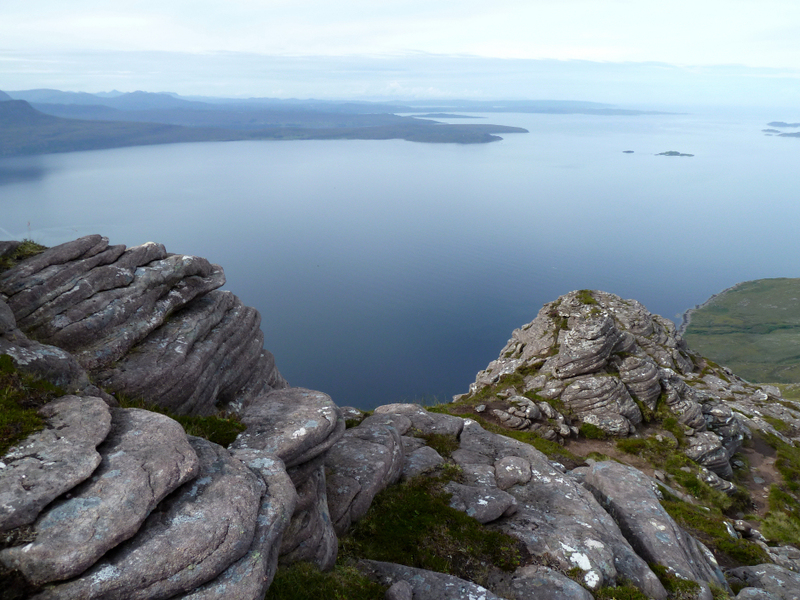 This must be one of the finest viewpoints in Scotland. 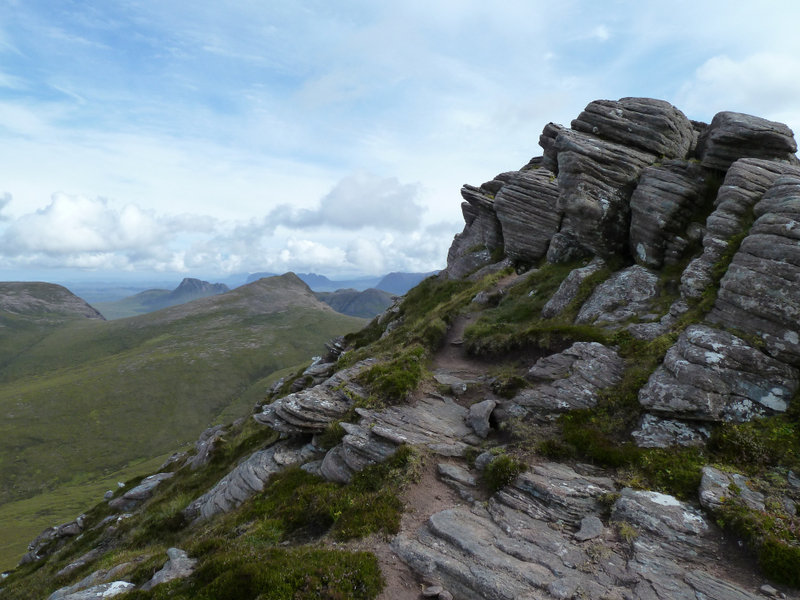 After ascending another minor top of the ridge, I made my way across grassy ground to reach the summit of Ben Mor Coigach. Again, what a viewpoint! 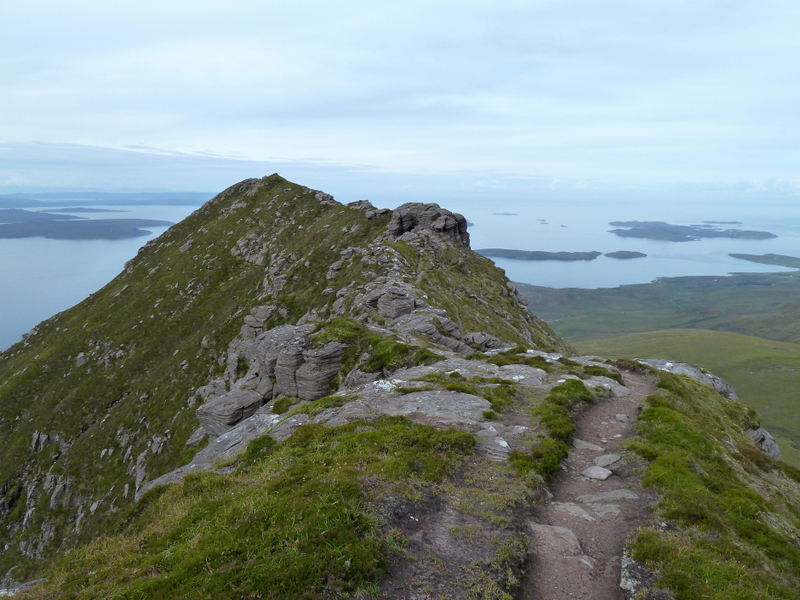 From the summit of Ben Mor Coigach, I picked out an easy line of descent towards the col between Ben Mor Coigach and Sgurr an Fhidhleir. 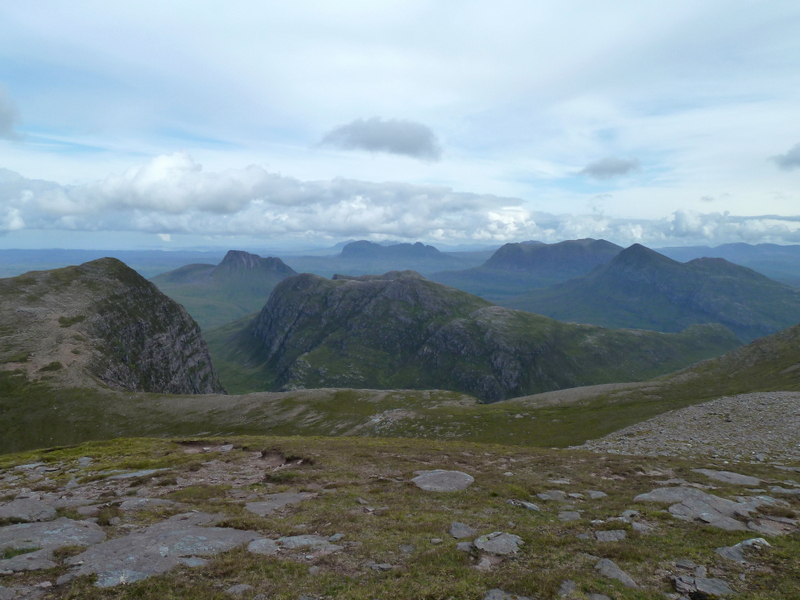 The view from the col was also pretty-good. 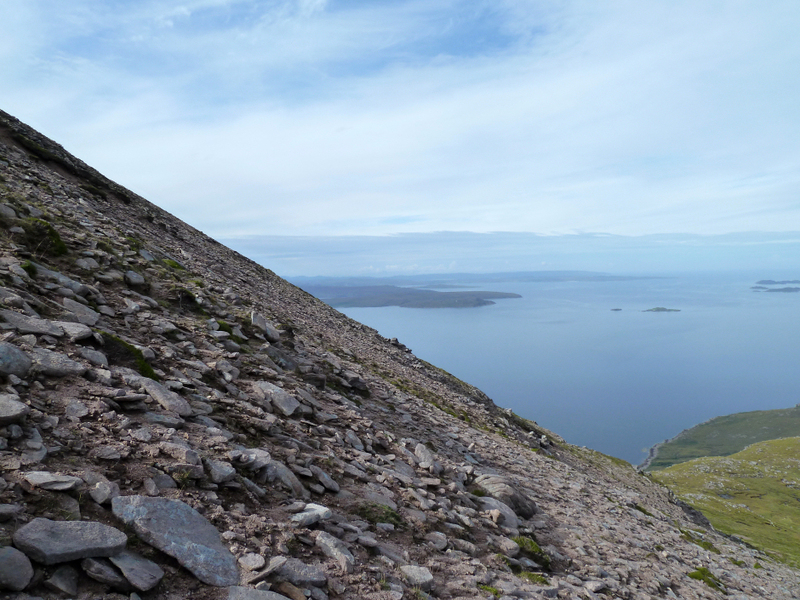 The ascent of Sgurr an Fhidhleir was an easy walk of just over 150m ascent. 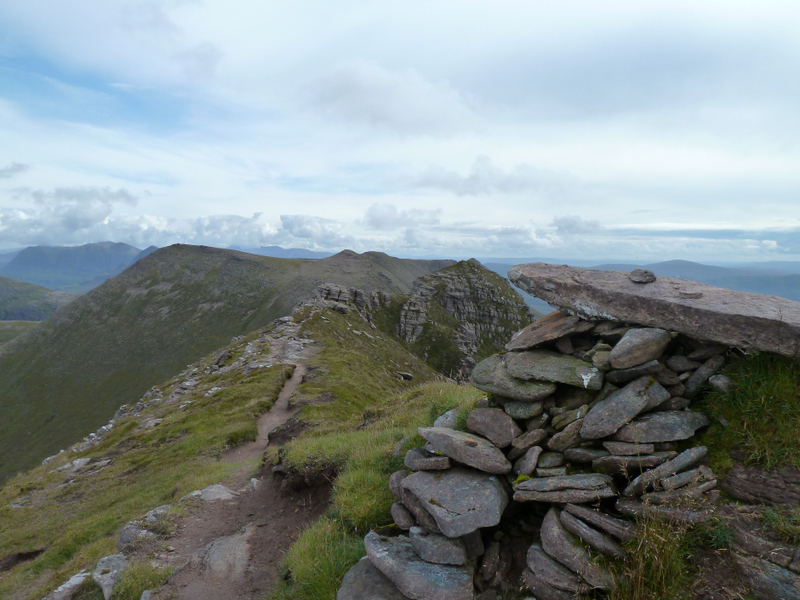 After visiting the summit cairn, I had a look over the prow of Sgurr an Fhidhleir. 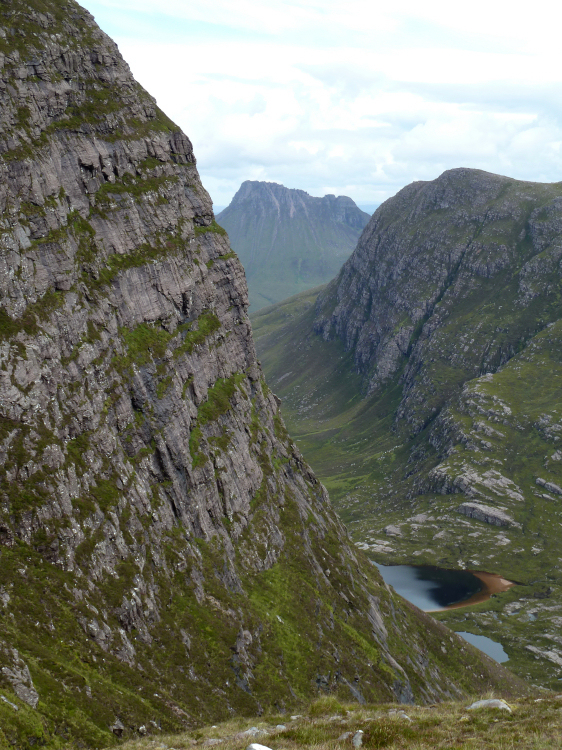 There is not only a sheer drop to the front but also to the left and right. 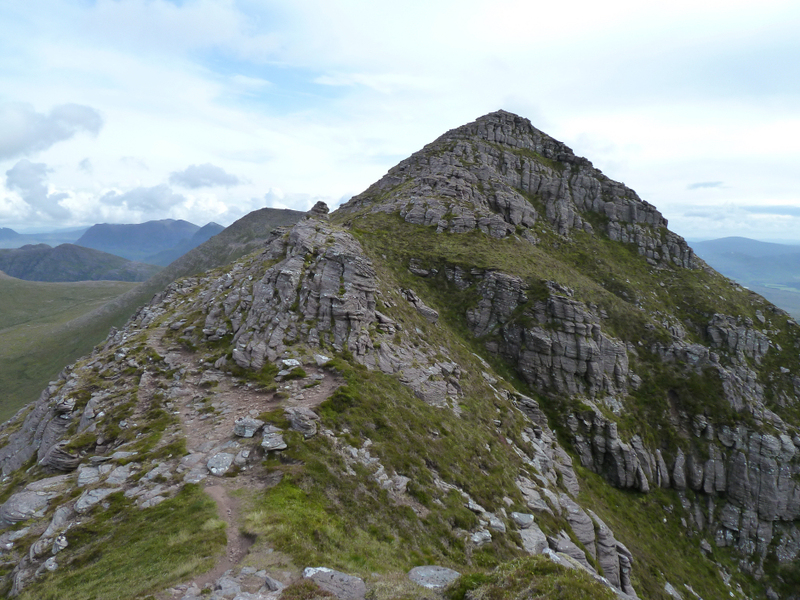 A seriously impressive peak! 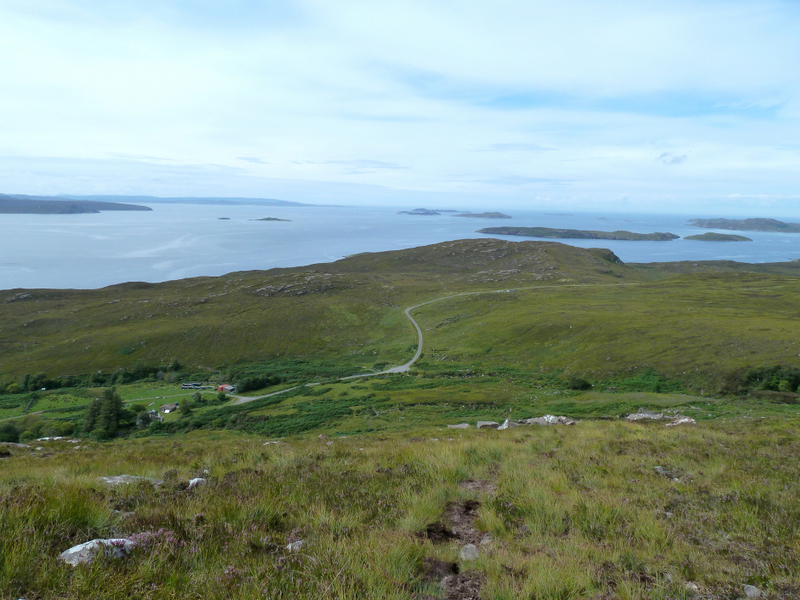 The descent from Sgurr an Fhidhleir back to the car was very straight-forward; mostly a grassy walk. 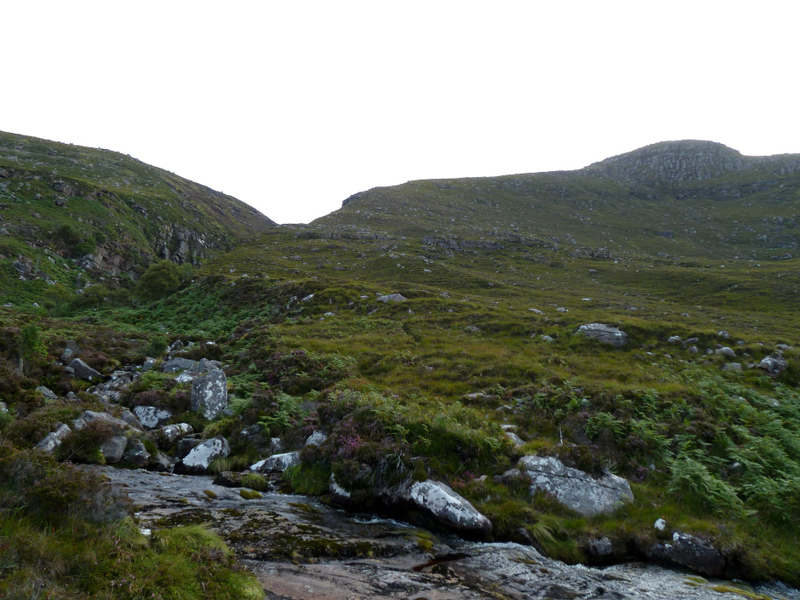 A couple of hundred metres below the summit, I reached a path which I followed out to the road-end at Culnacraig. This path is a bit eroded in its final section. 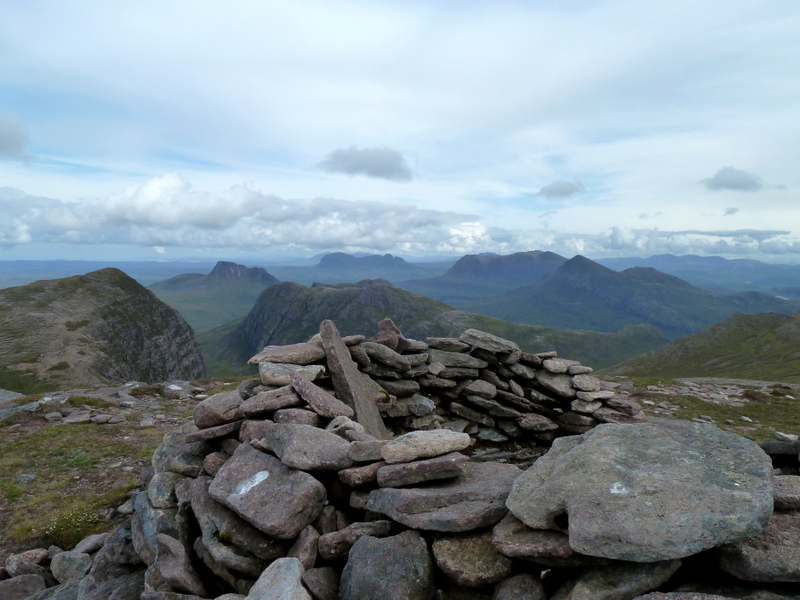 For a minimal 4Hrs 15Mins of effort, the rewarding views from these hills are outstanding. 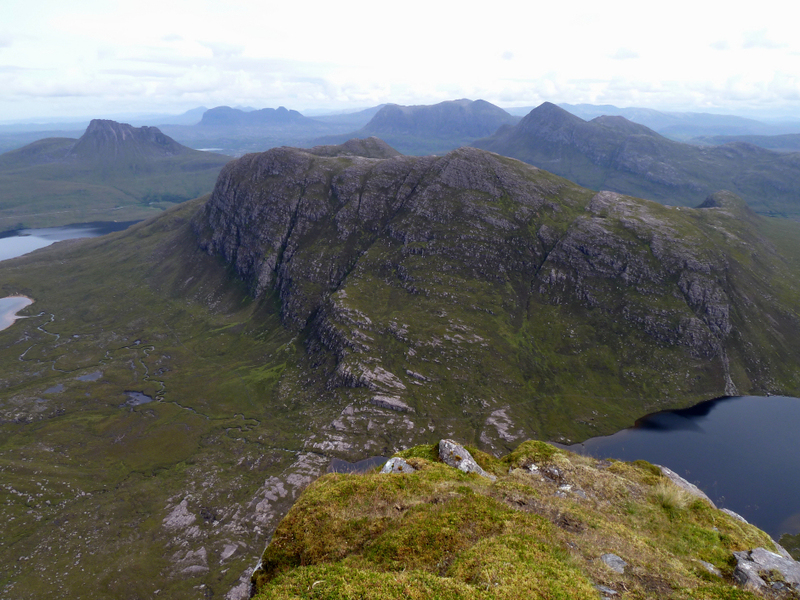 I now have a new favourite Assynt/Coigach hill. Quinag has been demoted to No. 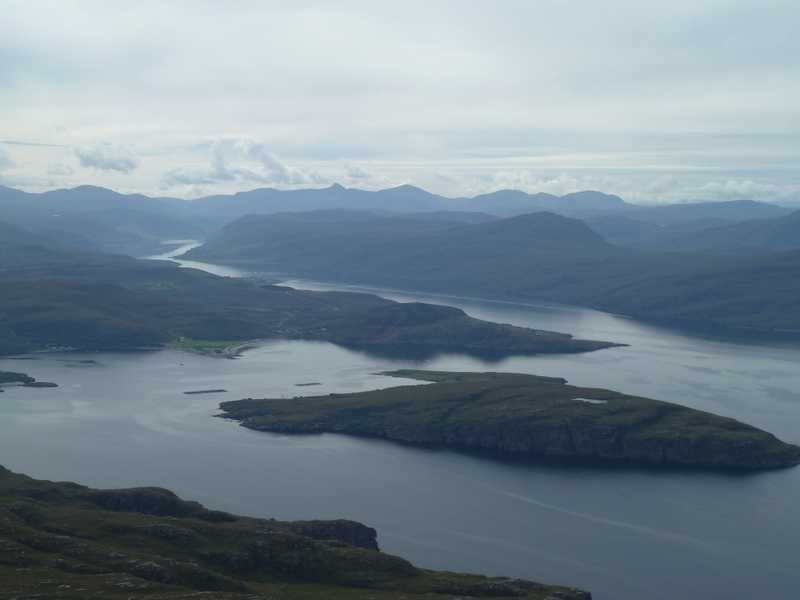 2, Ben Mor Coigach is No. 1.